Have you visited a beach in California after labor day? If you love the beach, but not the summer Southern California crowds, a visit in late September or October is perfect. The weather is predictably warm and the beaches are practically deserted on weekdays and parking is plentiful! 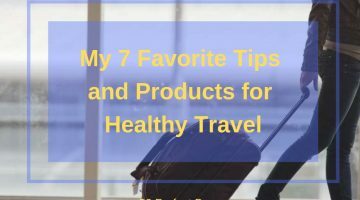 I recently visited Carlsbad in late September and had the opportunity to check out two of the top ocean front hotels in the city; the Hilton Garden Inn Carlsbad Beach and Cape Rey Carlsbad. The visit also allowed me to spend some time at the wonderfully uncrowded Carlsbad beaches. 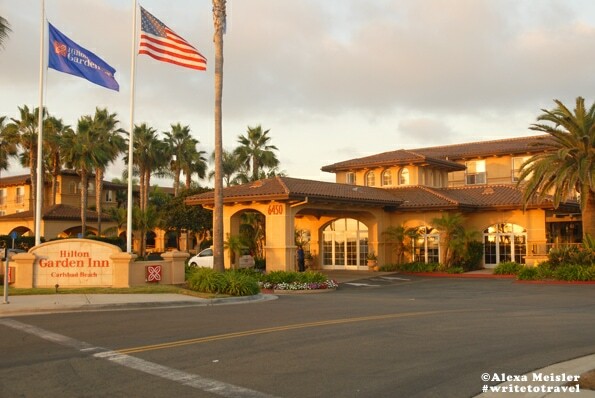 The first hotel I stayed at was the Hilton Garden Inn Carlsbad Beach. 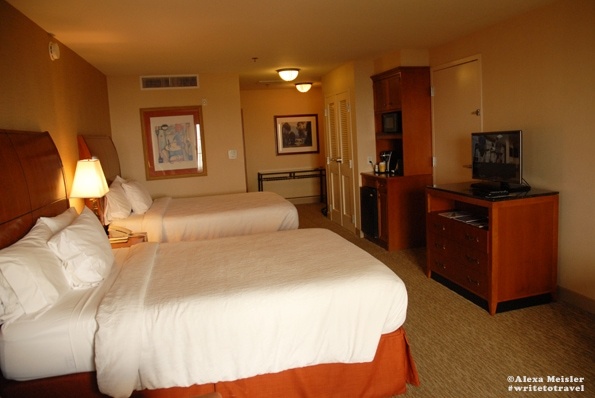 The hotel is located directly across the street from Carlsbad State Beach and two miles from Legoland. 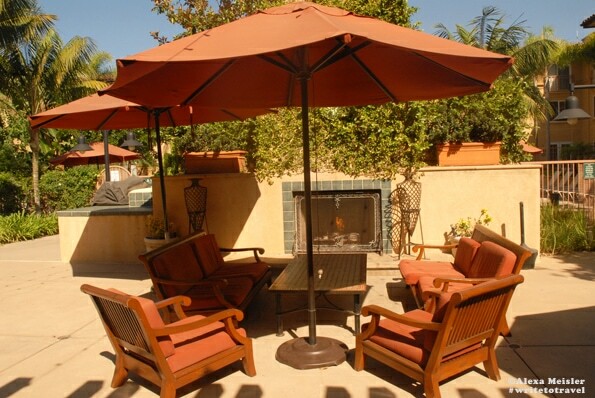 It offers a perfect location for a family beach vacation in San Diego’s North County. I stayed in one of their newly renovated deluxe ocean front rooms. All rooms come with a microwave, refrigerator and Keurig coffee maker. While the hotel does have a restaurant, having a refrigerator and microwave in the room is a great amenity for families. My room had two queen beds with Pacific Coast down comforters and Pacific Coast down pillows. 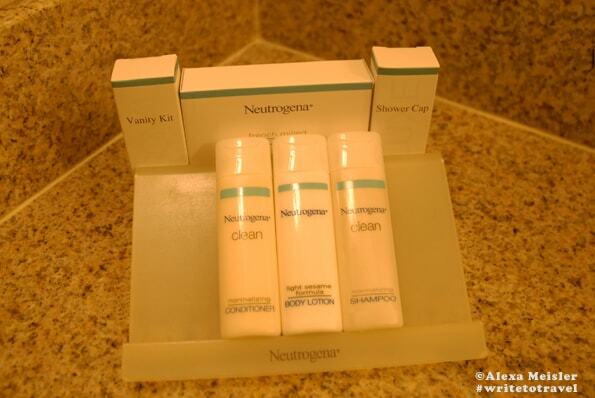 The bathroom products are my favorite brand, Neutrogena. Smart choice, as they are hypo-allergenic. While we are discussing the bathroom, I have to mention the towels. I’m not sure if it is the brand of towel or the way they are washed, but they were super soft and cozy. One of my favorite benefits offered at the Hilton Garden Inn is their complimentary shuttle service. They offer the shuttle anywhere in a five-mile radius, which includes Legoland, the Museum of Music, Carlsbad Premium Outlets, Carlsbad Lagoon, Carlsbad Village, nearby beaches and Leucadia. Simply call the front desk when you are ready to depart or ready for a return shuttle. Just think, you wouldn’t have to pay for parking at Legoland and you’d get dropped off at the front gate. To top that off, the shuttle service is offered 24 hours, 7 days a week. Huge perk! 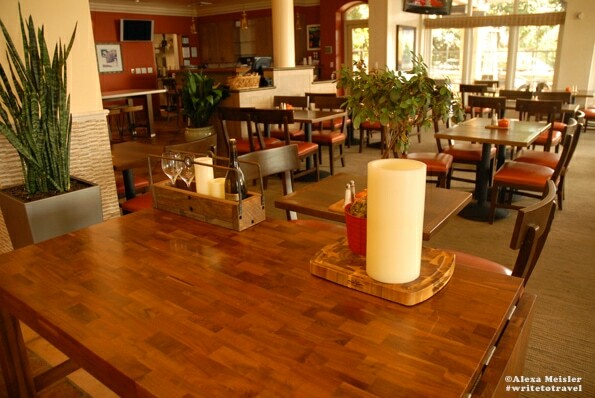 The hotel is home to one of the rare beach front restaurants in Carlsbad; California Bistro. The bistro serves breakfast, lunch and dinner. It also has a full service bar for anyone interested in a glass of wine, beer or cocktail. The menu at the California Bistro offers a mix of appetizers, soup, several salads and sandwiches as well as pizza, pasta and entrees such as steak, chicken and fish. 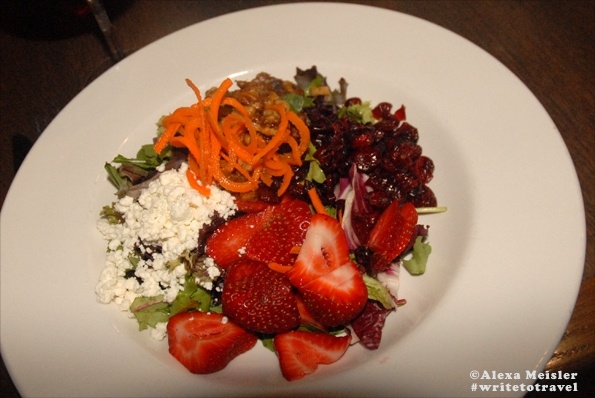 I began my dinner experience with the Carlsbad Local Farm Strawberry Salad. It’s a mix of local greens, candied walnuts, goat cheese, dried cranberries and local strawberries with a raspberry vinaigrette. I also tried the grilled mahi mahi fish tacos. The menu includes several vegetarian and gluten free options. 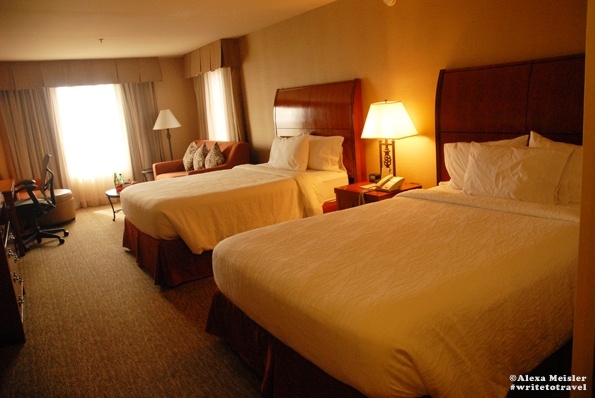 The Hilton Garden Inn has implemented many features you find at high end hotels, such as pool side food and drink service as well as room service. 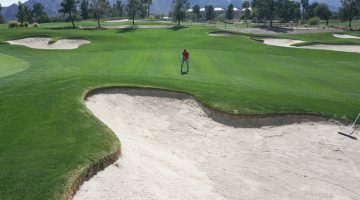 A few other fun activities offered are lawn games, yoga and outdoor movie night. During summer months and holidays they also have BBQ’s at the pool as well as live outdoor music. Check with the hotel front desk for a list a of planned activities during your stay. 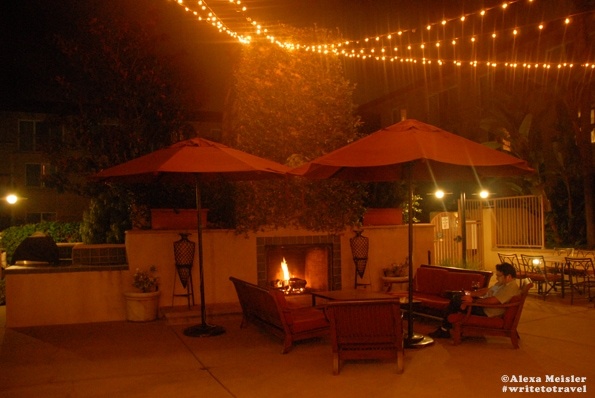 There is also an outdoor fire-pit and sitting area. The biggest selling point of the hotel could be access to the beach. While the hotel is directly across from the beach, the easiest access is .04 miles south at tower 28. It’s a 10-minute walk or a shuttle ride away. The hotel rents beach bags which include and umbrella, chairs and towels. They also sell other beach items in the lobby. Fantastic convenience! 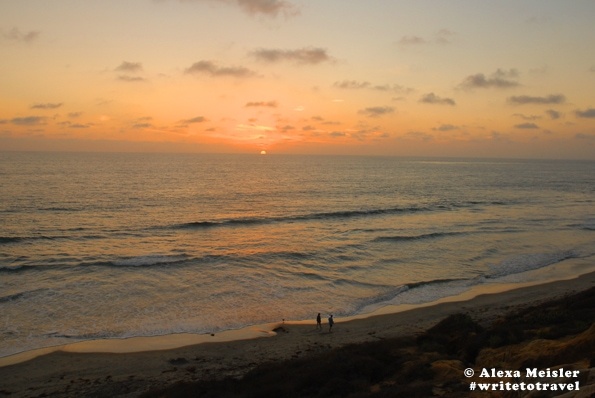 I can’t talk about the Hilton Garden Inn Carlsbad Beach, without mentioning the sunset. During my stay there was a fantastic sunset. Whether you take a stroll along the beach or simply walk across the street from the hotel to watch the sun set, it’s a beautiful way to end an evening. 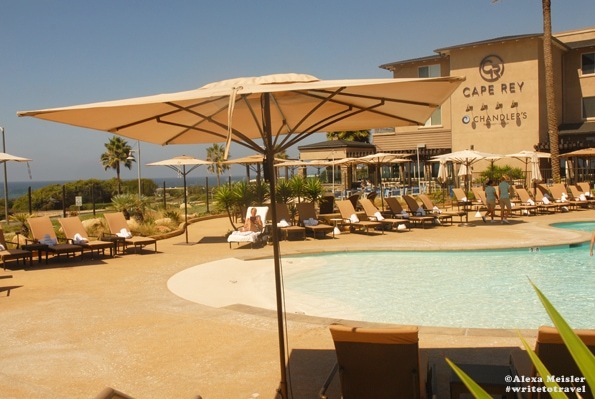 Parting thoughts: The Hilton Garden Inn Carlsbad Beach offers many of the conveniences and services of a high end hotel at a beach budget hotel price. 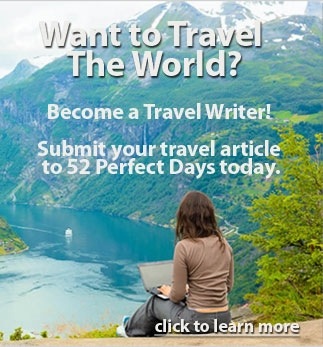 If you are traveling as a family or looking for a beach getaway, this is a perfect choice. 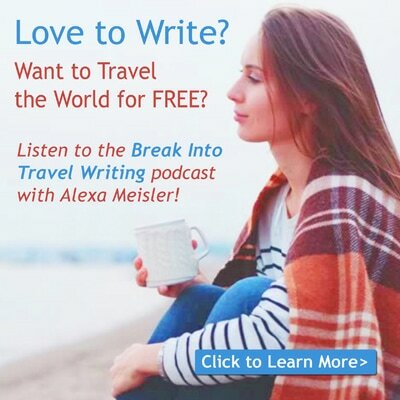 Book your stay! 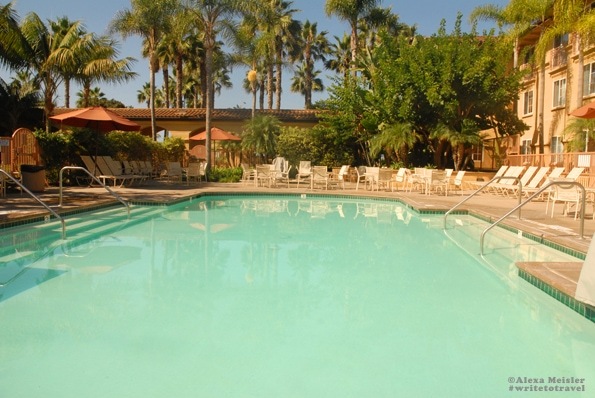 Hilton Garden Inn Carlsbad Reviews & Availability . 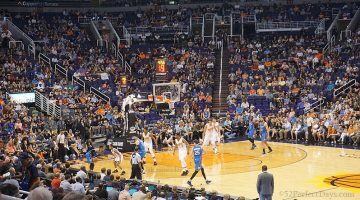 Heading to Carlsbad? 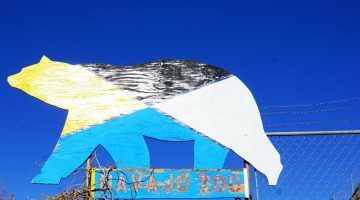 Here are the Top 10 Things to do in Carlsbad and my recent review of the Cape Rey Carlsbad Resort. A huge thank you to the Hilton Garden Inn Carlsbad for their generous hospitality. I was their guest at the hotel, but as always, all opinions are my own. 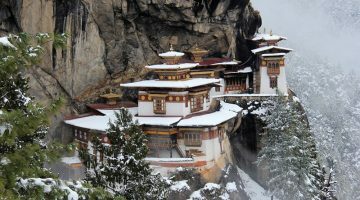 Thanks for the share, very informative & images are beautiful. Is it quite expensive? I’ts about $170 a night. I’m sure in the winter it’s even less expensive!